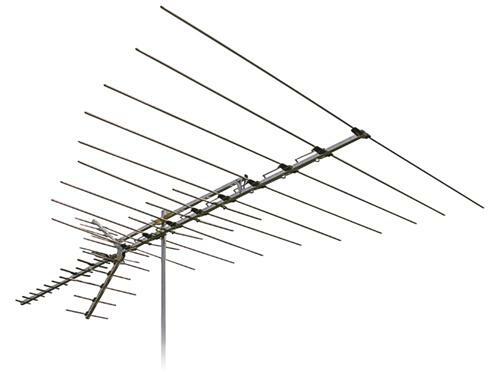 NICE AND EASY: What is an antenna element? Technically, it’s any individual bit of an antenna. The word “element” just means the smallest bit of something you can have and still have it be a useful thing. The keys on your keyboard are elements. Smashing one of them up into dust… the dust is not an element. I could go on with all sorts of analogies for that, but I think you get where I’m going with that. The reflector is the bit, usually on the back of an antenna, that sticks up and down. Its job is to bounce signals onto the back of the antenna which basically doubles its performance. The boom is usually the long bit that holds everything else. The directors, also called passive radiators, are the parts on the front of an antenna that aren’t connected to anything. If you look at the image of the boom, they’re the X-shaped things. Directors focus the signal almost like a lens. The science behind the way they work is actually pretty complex, and more than you’ll get in this particular article. This is the part that you put the antenna on, in order to hold it up. 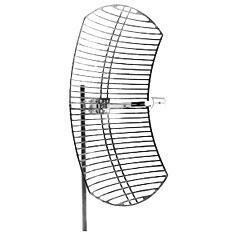 Some antennas are sheathed in plastic which helps them look more attractive and also gives some protection from the elements. This is an optional part of the antenna and doesn’t contribute to how well it works. Indoor antennas usually have almost all of the same parts, although some are so small that they don’t have directors or reflectors. There’s a lot more variety in small indoor antennas and their different-looking radomes often make the difference in how they look. And finally, the driven element. Generally when you’re talking about an antenna’s elements, you really mean its driven elements. 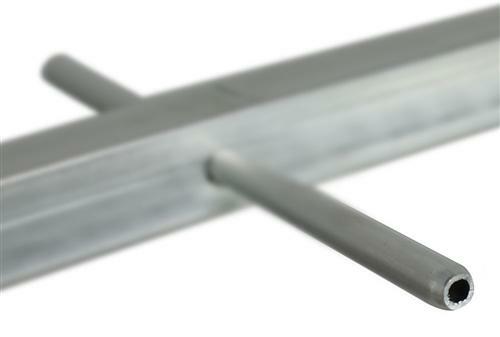 The driven elements are the part of the antenna that actually pull in the signal. In the case of a very large log-periodic antenna like the one you see there, almost the entire antenna is made up of driven elements. Everything to the right of the mast (and a few things to the left of it) are driven elements. Having more than one driven element means you can have different parts that specialize in pulling in different channels. This is important if you want the most sensitive antenna possible. 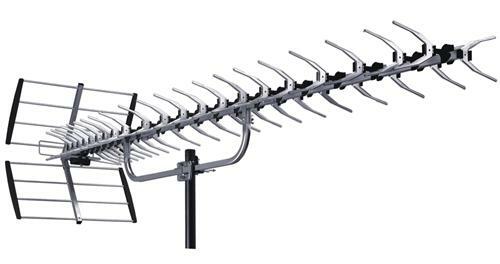 However, most antennas do not have more than one driven element and it’s usually a very small part of the overall antenna. In the picture above, the driven element is rectangle between the reflector and the directors. You can’t really even see all of it. Here it is, I’ve highlighted it in red. It’s very common for an antenna to have a small driven element surrounded by directors and reflectors. The signal gets tightly focused on one spot and it only takes a small element to pull all of it in. 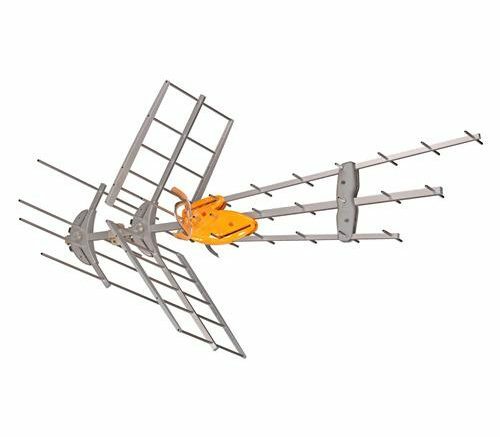 If you are looking for an antenna, don’t be overwhelmed! Give the folks at Solid Signal a call at 877.312.4547 and they’ll help you choose the right one! 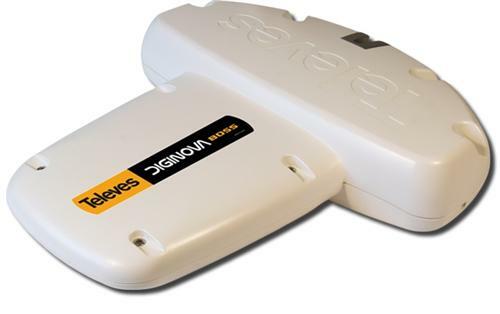 If it’s after hours, try our free antenna recommendation service and you’ll get a detailed report in just a day or so. So help me out. Is this antenna going to get VHF, or not?